First version for this plugin. Fixbug for flickr have new domain (staticflickr.com). Fixbug for https for admin login.this plugin cannot download the picture. 3. 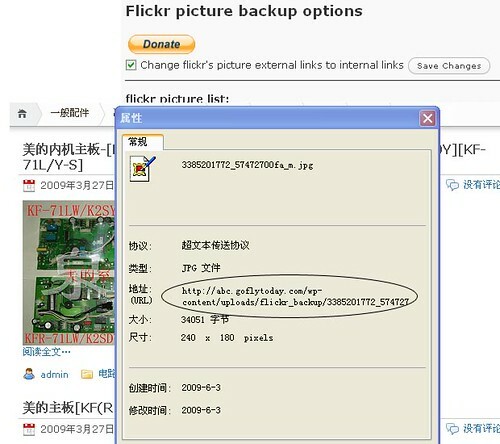 Go to setting pages “Flickr picture backup options”,and click “download all picture to host”. 4. when you need to change the external links of flickr’s picture to internal links, checked “Change flickr’s picture external links to internal links” and click “save changes”. The Plugin faded out of working. On my WordPress-Blog there are no entries when i try to see my pictures for download. A fes weeks ago the list showed up at least from time to time. Is there a new version needed or ist the issue observed by anyone else? Great Work. Very please a simmilar support for Facebook photos. 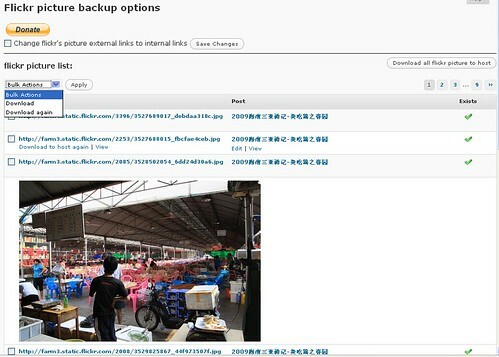 I use Fotobook plug-in for external galeery from Facebook and i have use local backup for images on my site. This plugin is awesome, it does download the images, but when I change the links from external (Flickr) to local, the image can’t get loaded on the single page. I get a “?”. The name of the image is completely different from the name in the download folder. Next to that I only see 6 links, but my site has about 200 posts, with all images from Flickr. Every day I’ll add a post, with a Flickr image. How can I download more images, perhaps all 200+? Thanks for the great plugin, works like a charm! It’d be even nicer for the plugin to also work with the flickr videos. Would really appreciate if you could make it happen. You know how important for us behind the wall:) Thanks again for the great plugin! picture will download on \wp-content\uploads\flickr_backup (by default upload path). 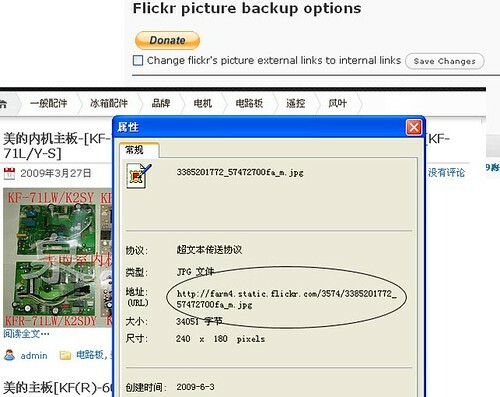 please check the permissions。and the “flickr_backup” will create by self. This plugin is a great idea! However, it doesn’t work for me. No images are downloaded when I click on the download all button. Do I need to set folder permissions? Do the URLs to the images on Flickr have to match a certain pattern?